The Magic Carpet Cleaning Company is proven in the London market, provides an overall quality cleaning of residences and offices in Ealing W5. Do you have the feeling that no matter how long and hard you clean – the stains, the spots and the dust seems to stay forever? Our cleaners are here to help – fast, cheap and with highest service quality! 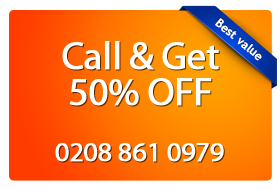 Why Choose Magic Carpet Cleaning in Ealing W5? Our teams use the latest detergents on the market that are completely safe for you and your family – green and eco-friendly. We do not resort to hidden conditions in our contracts because we rely on honest relationship with you. Employees of Magic Carpet Cleaning are certified professionals who pass cleaning trainings to meet the emerging technologies. Our customers recommend us as a reliable partner who can guarantee 100% clean until you verify that you are satisfied with the results. Why put up with the old spots? The experts of Magic Carpet Cleaning will clean them without a trace! Ask our experts in the specific page for Ealing NOW! You will find the best solution for your problems. Guaranteed 100% by Magic Carpet Cleaning! The hot water extraction approach carried out by our cleaners removes 99% of the soil with the aid of the hot water which is used to destroy any microbes from the treated surfaces. We recommend it to people who are prone to developing allergies, but also for families with children. The rug detergents are injected under high temperature using professional equipment. Dirt is sucked out from the fabrics and the chemicals used in combination with hot water kill the germs. This destroys the allergens present on the treated fabrics. 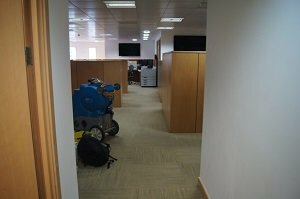 Our equipment is fully consistent for work in private homes and for commercial carpet cleaning in business buildings. We recommend this method for our business customers in office buildings and business centres. Their customers and visitors are not required to wait until the textile floors are dried, since this method does not use water. Dry powder method is suitable for carpets and rugs from delicate fabrics because they do not change their colour. The fabrics are also protected from mold. Out experts rub powdery substances in fabrics through a specialized technique. Then, they are extracted together with the mud by vacuum. Detergents we use are 98% biodegradable. For all our customers who trust us, we work with great enthusiasm. We strive to remove blemishes from artificial or natural materials from their homes or offices. We deal with new and old coffee spots, traces of pet urine, wine, food, chewing gum, chocolate, etc. All our teams are certified to work with cleaning chemicals from diverse origins – acid, alkaloids, etc. We use professional tools to restore the glamour in your life. Do you need carpet and upholstery cleaning service in Ealing W5? Call 0208 861 0979 and leave the rest to us. We will clean your property, so you will feel happy again and will see the world through the eyes of purity. Trust us!